Who are D`N`D Services Ltd? If you have been searching around the Internet for Radio Code information, then chances are that our name may have cropped up, and you are now reading this to get some background on us. We have not always been based here at our current location in Paignton, Devon, we actually started out over the other side of the country. This is our story, and how we ended up here. 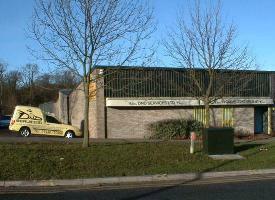 D`N`D Services Ltd was founded in 1992 by myself, David Watts . Initially operating as a Car Audio Decoding and Repair workshop from a small starter unit in Caxton Way, Stevenage, It was not long before our customers wanted to be supplied with some new products as well as having their own ones repaired. 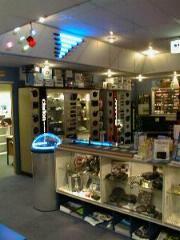 We quickly moved into a much larger workshop, set up a small display area, and took on some extra staff. But this too, was quickly outgrown after a number of Manufacturers came on board and quickly discovered how well equipped our workshop was. Our technical skills and expertise were also recognised, and it was not long before the Manufacturers authorised us to conduct Warranty repair work on their behalf. By 1995, it became clear that we needed to find a shop, as retail sales were booming. 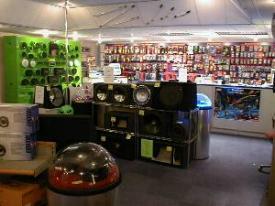 We relocated to one of the busiest neighbourhood shopping centre`s in Stevenage, The Hyde - Shephall. 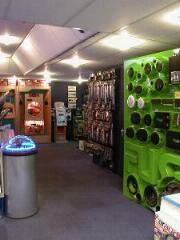 Expansion took place rather rapidly yet again, and we now found ourselves offering an installation service as well. Repairs took off in such a way, that we purchased a delivery van and took on quite a few more staff. In March 1999, we ran out of room yet again. So this time, we thought we would go really big, and try to find find a building that could house a very large showroom, a very large workshop, and a very large repair centre. When we heard about a 5,000 square feet warehouse in Wedgewood Way, Pin Green Industrial Area of town, we moved in straight away, and soon became regarded as one of the largest Independent Car Audio Dealerships in the Country. During the Summer of 1999, we decided to set up an Installation workshop with full fabrication facilities. We did not want to follow the normal trends of fitting standard car audio systems, and wanted to show to the world how creative we could be. Fibreglass, M.D.F., Plastics, Glass and every conceivable type of fabric for trimming, we were able to work with it all. Over the years we have constructed many cars for both customers and promotional vehicles for Manufacturers alike. Our demonstration cars have been seen all over the world at various motor shows, product launches and some have even been featured on TV. In 2000, we decided to invest in an Audio Control SA-3055 Sound Analyzer with a 180dB microphone. Such was our reputation by this stage, we were not only dealing with serious competition systems, but we were now actively playing a part in some of the largest and loudest systems the world has ever seen. 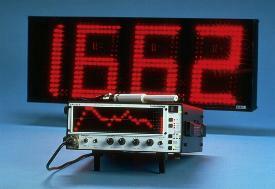 It made sense for us to own the best test equipment that the industry had to offer. 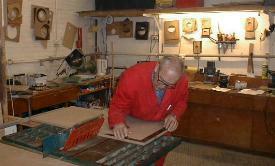 We started to run open days and Sound Offs at our workshop, and also at various venues around the country. 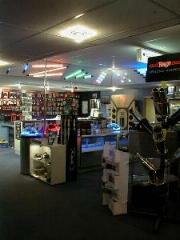 The summer of 2002 saw a very unusual addition to our business. So large were the crowds on Sound-Off days, that we needed to find something else to entertain them, whilst they were waiting to compete. 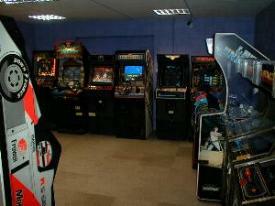 Somebody suggested a fruit machine, and at the time it seemed crazy, but it was not long before we had ourselves an Amusement Arcade, and possibly one of the best waiting rooms ever !! I stopped thinking the idea was so crazy when in 2003 we sold nearly as many Arcade machines as we did Car Audio Systems. We even started a rental business, hiring them out to local shops and centres. In 2003 we invested heavily into the Internet and went online in a very big way. Because we now had such large warehouse and storage facilities, items were purchased in bulk which in turn meant that our prices could now be discounted even further. Combine this with the full back up and Technical support that we could offer over our competitors, and you can understand how our Online sales went through the roof. 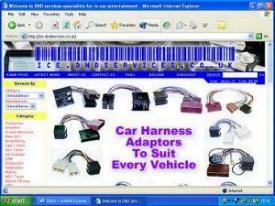 The Website also took another major boost when I decided to offer our decoding and repair services via Mail Order. 2004 saw a very unexpected change in Business. Our round the clock Mail Order and Internet sales had not only far exceeded our expectations, but had also overtaken our retail shop sales! But here was the problem that I had not envisaged. In cutting the prices by so much on our website in order to compete with the guys setting up websites in their bedrooms, it now meant that operating such a large showroom selling at the higher retail prices proved no longer to be a viable option. There was no doubt that we were drawing the crowds to our shop, but they would simply press the buttons, drain us of our technical knowledge and then go home and buy it from the cheapest website they could then find. It was a very sad day in the spring of 2004 when the dwindling profit margins of our large showroom could no longer sustain the growing overheads, and the doors finally closed on the Wedgewood Way site as I decided to join the Worldwide Web and operate DND Services Ltd as a Cyber Company. But the sadness quickly turned to excitement as the online sales still continued to boom, and I was forced to invest in yet more storage and warehouse facilities in the heart of Gunnelswood Road Industrial Estate in Stevenage. I now had more products available via our online site than ever before, and could boast warehouse and distribution facilities far in excess of many of the major importers and distributors. Towards the end of 2004, I was beginning to miss dealing with customers face to face, and as I was spending so much time down in the South West, I decided to open up new workshop. In December 2004, DND Services Ltd acquired a new company, and it was called Torbay Car Stereo, located in the heart of Paignton, Torbay. At the beginning of 2005 I moved down to Paignton myself, so that I could launch Torbay Car Stereo as a Car Audio Service Centre and offer the full range of Decodes, Repairs and Mobile Installations to the local public and Motor Trade in and around Torbay. In March of 2005, after striking a deal on a new storage facility, I also decided to relocate DND Services Ltd to Paignton. 2006 saw one of our best Cyber Years ever. As well as our own website, we were now operating one of the largest In Car Entertainment shops on EBAY selling car audio accessories, and have even started to sell our decoding and repair services online. 2007 saw some very heavy investment in research and development on the latest breed of Car Audio Security techniques. With the amount of research I have personally undertaken over the last few years, I have now been recognised as one of the Worlds leading experts on Radio Code technology. We are now able to decode and reprogram just about any Car Radio Security Code ever devised and that includes the latest VIN Coded radios as well as the newest O.E.M. 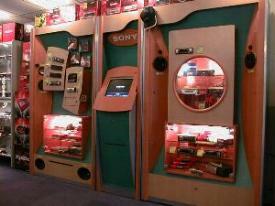 Satellite Navigation systems that are now becoming so commonplace. We also started experimenting in supplying radio codes by E-Mail, with decode information being added to our Website on a daily basis. We are now believed to have one of the largest decode resources in the world. If it needs a code, chances are that we know how to decode it, and information will be listed somewhere on this website. During 2007 our E-Mail radio code service proved to be so popular around the world, that in 2008 we decided to speed things up by fully automating the service. This meant that we could now process radio codes automatically and send them back via email without any delay. 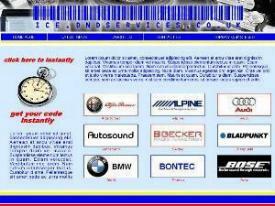 Our Instant Code Service is both very fast and very accurate. 2008 saw the launch of our fully automated radio decoding service via the Internet. 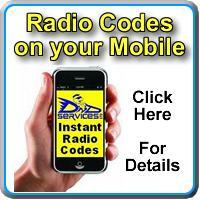 With our Instant Code Service proving to be so successful in 2008, we decided to increase the radio database substantially for 2009, so that we could offer Online Radio Codes to as many different makes and models of radio as possible. And whilst we were streamlining our Online services, you may have noticed that our website was also given a major makeover at the same time. Torbay Car Stereo ceased trading in 2009, but before anybody shouts "Credit Crunch" this was actually a very good thing and not nearly as bad as it sounds. When I relocated to Paignton a few years ago, the name of Torbay Car Stereo was set up so that people locally had a head start on what I did. I hadn`t anticipated that most of the locals would have recognised the parent Company of DND Services Ltd, and neither did I think that I too would have been recognised so readily as the famous Decode Expert that goes under the name of Dave-DND. Hardly anyone has called us Torbay Car Stereo for so long now (and not that many ever did), that it seemed pointless to continue with the name, and two sets of accounts. So to avoid any further confusion, the name of Torbay Car Stereo was dropped, and we will continue to trade as we always have done under the name of DND Services Ltd.
2010 was a very busy year for us, and all of the efforts in creating one of the largest decode resources in the world certainly seem to be paying off, because in 2010, we also managed to celebrate our 18th year in business. 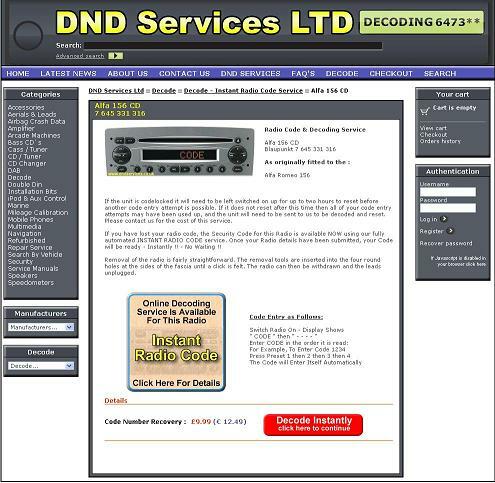 In 2011 we hit a major milestone, well it was for us at the time, and that was when our automated decoding service contained over 1,000 models of radio on the website. Our main website database contained decode solutions for over 3,750 different models of radio and more were being added on a daily basis. We also branched out very heavily into refurbishing some of the Original Equipment radios for the Motor Trade, as the quality of the imported aftermarket stereos was now so poor, the O.E.M. radios were now of superior quality and keeping things original was also helping with the resale value of cars. 2012 was an important year for us. Not not only did we manage to celebrate our 20th year in business, but we also managed to miss our target of 4,000 radios on our database by a very big margin - in fact we now have decode solutions and code entry details shown for 4,342 of them. Our Instant Radio Code Service is growing too, and we now have the ability to provide automated radio codes for 1255 different models. This service has been so successful for us, that we are now evaluating radios and writing new software in order to increase this number every day. In 2013, we launched our Radio Decoding App, so that the mobile mechanics amongst you with Smartphones could access our Fully Automated Code Service whilst out on a job in the field. With the current change in legislation with regards to Airbag light illumination now being an MOT failure, we have also started to develop software to reset the crash data and extinguish the dashboard light when other diagnostic equipment has failed to do so. This year also saw the creation and sponsorship of the beachbuggy.info online community forum, which is fast turning out to be one of the largest Buggy resources in the world. By the end of 2015, our decode database had reached well in excess of 5000 radios, and we have managed to write software to allow at least 35% of those to be decoded online via our Fully Automated services. This has not been without its challenges though. As radios are becoming more integrated to the vehicle, much time and expense is now spent in designing new test rigs in order for us to operate, diagnose and decode the new models on the test bench. But then, that is what makes us global leaders when it comes to Radio Code solutions.